Oobleck! Even the name is awesome. Is it a solid? Is it a liquid? Oobleck is a substance made from 2 household ingredients that forms a solid when you squeeze it but melts into a gooey liquid when you let go. 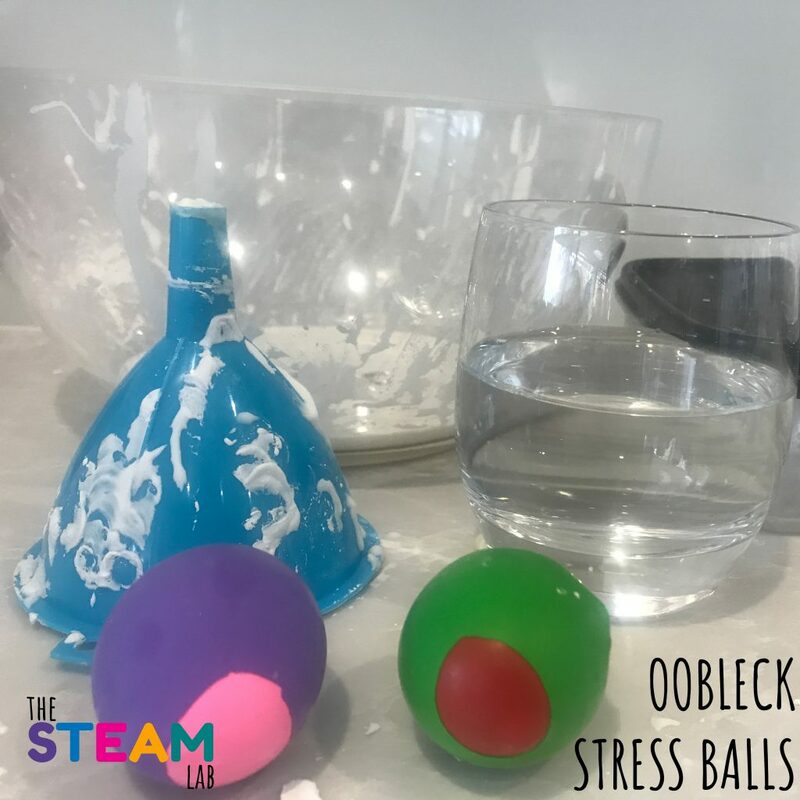 Once you have finished exploring this amazing substance you can make your very own stress balls! 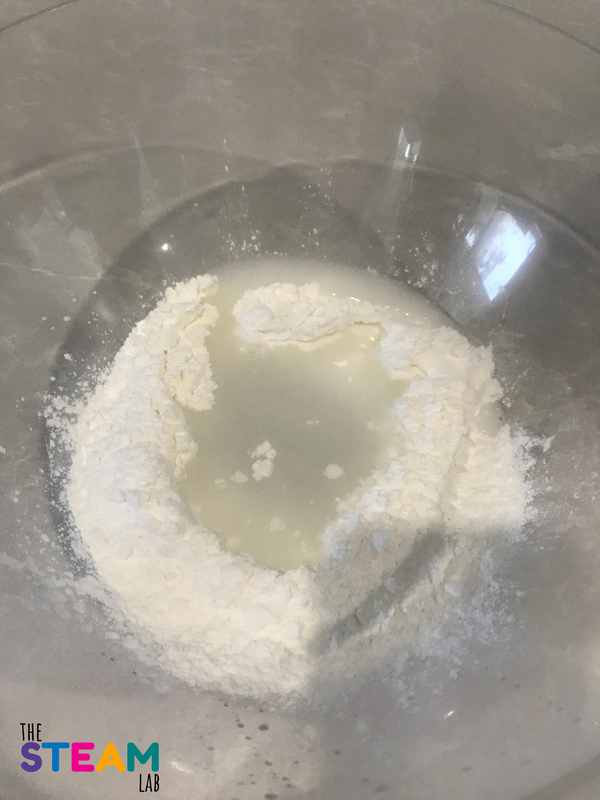 Add 2 parts Cornflour to 1 part Water. Stir to combine. You might need to add slightly more cornflour or water to get the right consistency. 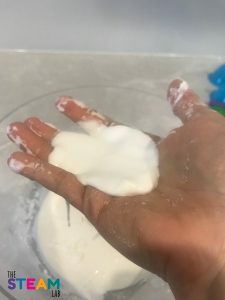 The Oobleck should be able to be squeezed into a solid ball in your hand and when you release the pressure the ball should melt back into a liquid. 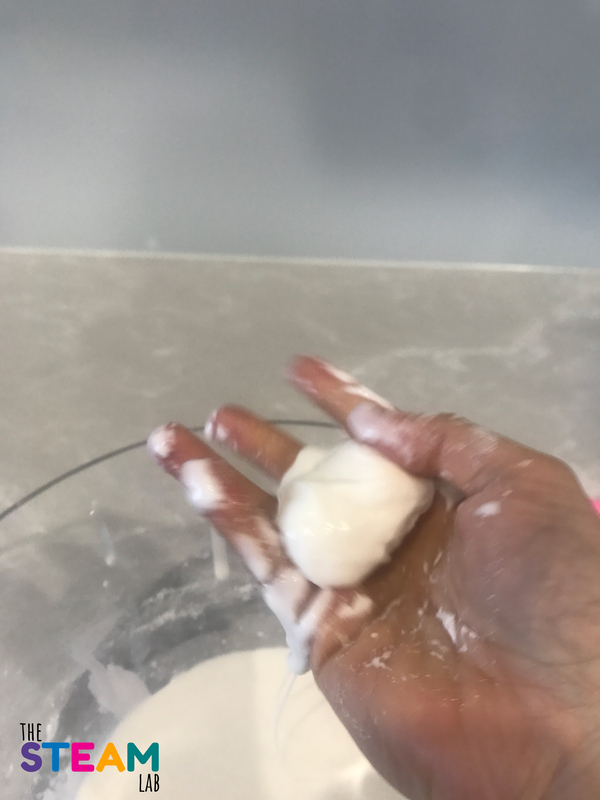 Try and resist having fun playing with the Oobleck. 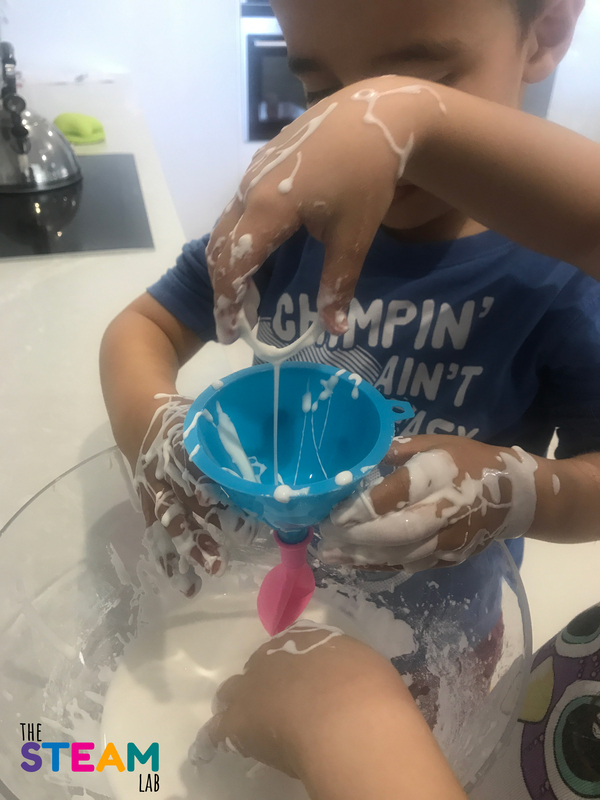 Using a funnel or if you prefer the super messy/fun option slowly drip the Oobleck into a balloon. If you try to add too much into the funnel at once the weight of the Oobleck will cause it to turn solid and block the funnel. Squeeze out as much air from the balloon as you can and tie a knot. Cut the end off the knot. 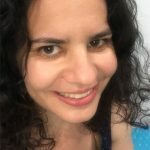 Take another balloon and cut the end off. 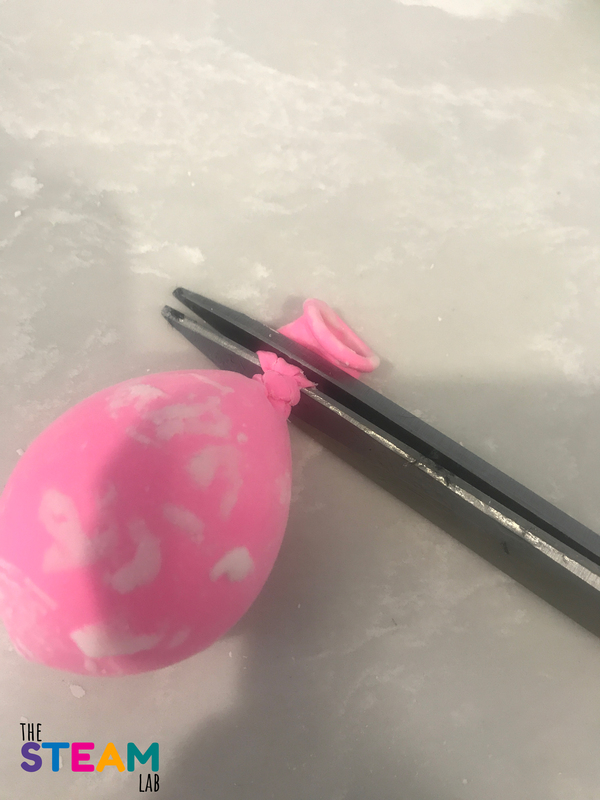 Wrap it over the filled balloon to cover the knot and add more durability. 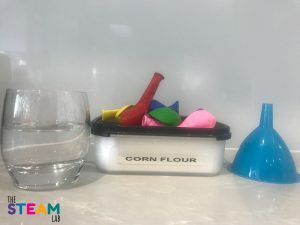 Most liquids flow at a consistent rate, for instance honey and water will always flow the same no matter how you pour or press them. This rate of flow is called viscosity. 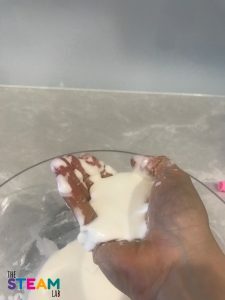 Oobleck, however is a shear thickening non-Newtonian fluid, this is a fancy way to say that the viscosity of Oobleck changes depending on pressure. 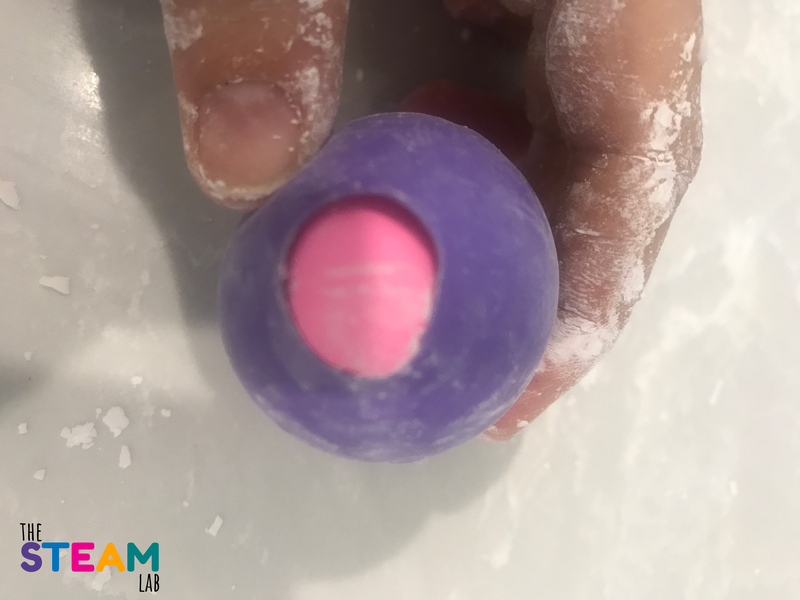 If you apply pressure to it, it forms a solid, loosen the pressure and it melts back into a liquid. This phenomenon, called “shear thickening,” occurs in materials made up of microscopic solid particles suspended in a fluid. One theory for what causes this thickening is that friction between the solid particles locks them into configurations that resist the flow. 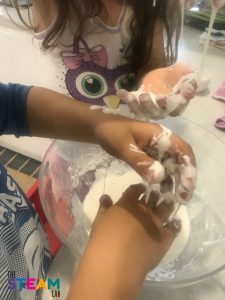 There are lots of different ways to experiment with Oobleck. Make enough to fill a wadding pool and walk on liquid. Or put some Oobleck on a sheet of paper over a speaker and watch the Oobleck dance. 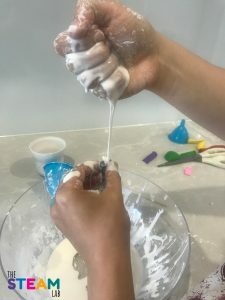 Add food colouring to Oobleck and make Oobleck Art. Copyright © The Steam Lab 2017. All Rights Reserved.